UPDATE: Motor1.com's Clint Simone was walking around the Geneva Motor Show and happened to catch the Apollo Automobil Intensa Emozione's engine revving. It makes an absolutely magical sound. 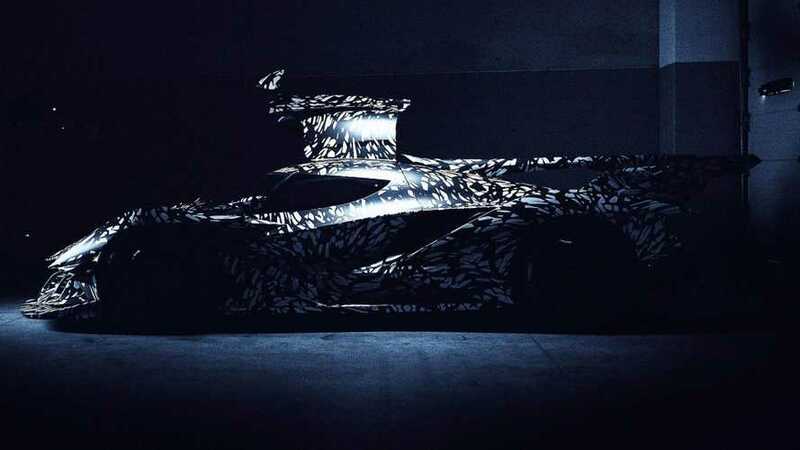 In this shadowy new teaser, the racing version of the Apollo Automobil Intensa Emozione offers the first hint of its track-ready look ahead of a debut at the 2019 Geneva Motor Show. The automaker isn't providing many details about the machine yet, including what series the vehicle would be eligible to compete in. Judging by Apollo's Facebook post (below), the firm appears to favor the GT1 moniker for this variant, which is somewhat odd since the GT1 racing class is long defunct. Even with this shadowy, camouflaged teaser, it's clear that Apollo doesn't have to do much to the exterior to convert the road-going Intensa Emozione into a track car (see comparison above). The front splitter's design is nearly identical, although there might be louvers on the racer's fenders – the dark image makes it hard to tell. Gullwing doors remain an eye-catch styling detail. The intake in the rear fenders looks larger in the new teaser. The prominent fin and rear wing remain in place, though. 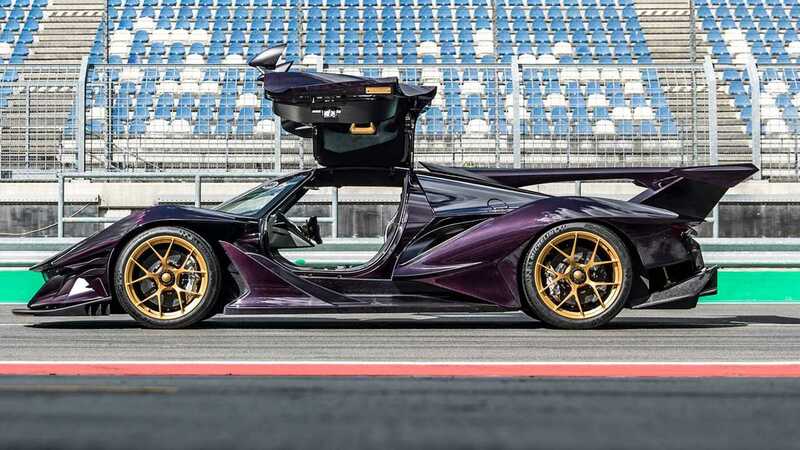 Can the Apollo IE sound as good on the track as on the road? The teaser makes no mention of the track car's powertrain, but the Intensa Emozione GT1 likely uses a version of the 6.3-liter V12 with 780 horsepower (582 kilowatts) and 560 pound-feet (759 Newton-meters). Even the road-going model weighs a mere 2,756 pounds (1,250 kilograms), but stripping the interior for the track might shed a few more pounds. It's hard to imagine too much of a diet, though, since the standard Intensa Emozione already uses so much carbon fiber. Apollo will build 10 examples of the Intensa Emozione with each one selling for $2.6 million. It's not yet clear whether production of the GT1 counts toward that total.